If we say that the place called Ghod Bunder in Thane, where at present high rising structures of Thane are lined up was a horse trading center in historic times, you may not believe it. The journey of the city from a traditional trade center to a modern business hub is incredible. The name of the city is always in highlights due to one reason or the other. The transformation of the city into a business hub has introduced many luxurious hotels. United-21 the first 4 star Hotel in Thane, has reached the heights of popularity among the visitors as well as the residents of Thane. Visit us on some special occasions like Christmas or New Years Eve to taste some of the classic food dishes offered at the hotels own restaurant in Thane. The credit of achieving this popularity goes to our visionaries who predicted the future needs of Luxurious stay in this city long time back. We at United-21 are the trend setters in introducing world class facilities to our guests. When you visit our hotel our priority is to offer you a perfect service, so that you become our regular customer. Our ultimate goal is to reach beyond the service provider - customer relation and provide a stress free family atmosphere. 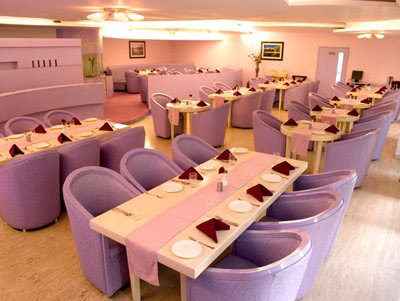 To retain such atmosphere, we have provided ultimate facilities of international class like Banquet, Discotheque, Spa, Salon and life style family club. If you are an international passenger in transit, a businessman on a business trip or looking for some best venue for family function we always welcome you to visit our hotel and get a guaranteed satisfaction. Come with passion for a Luxurious stay in Thane and we guarantee an awesome experience of a sumptuous stay waiting for you. Our unique trend of hospitality will offer you a soothing sensation and a feeling to visit the hotel one more time.